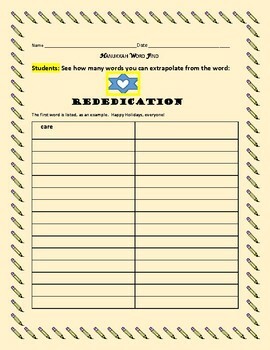 Students extrapolate words from the word "Rededication" Have fun! Use this for a holiday activity, or for a lost prep. Thanks for visiting! Happy Holidays, everyone!